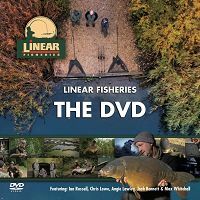 For many years now, Linear Fisheries has helped countless individuals and groups with both support and charitable donations. We have provided work experience to 100's of students and held numerous junior and charity fishing events. During this time we have helped raise thousands of pounds for charity, either through providing raffle prizes, donations or organising large events. Most notably, during a five year period, the fishery and it's army of helpers helped raise over £140,000 for the Motor Neurone Disease Association. We also offer a 50% discount to current serving members of the Armed Forces and now allow all anglers, under 16, to fish for free. 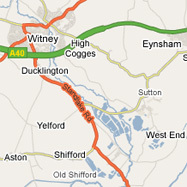 We even sponsor the local Ducklington junior football team and are currently looking to set up a local community fund. Below is a list of people, groups and charities that we have helped in recent years. **The Southwest Children's Hospice - Donated at 48 hour ticket for two anglers, 3-rod ticket for a charity raffle/auction at the charity fishing event being held at Acorn Lakes in June 2019. (Donated March 2019). **Lisa's Army UK - Donated at 48 hour ticket for two anglers, 3-rod ticket for a charity raffle/auction in aid of Family's with Cancer. March 2019. **Catfishing Against cancer - Donated at 48 hour ticket for two anglers, 3-rod ticket for a charity raffle/auction in aid of The Teenage Cancer Trust. March 2019. **MNDA South Bucks Branch - Donated a 96-hour ticket for two anglers to be auctioned off at their annual Charity Ball. (Donated in Jan 2019). **Charity event for the Willen Hospice - Event being held at Great Linford Lake in June 2019 - 24-hour ticket for two donated in Jan 2019. **FODCAC Event for Children with Cancer - 24-hour ticket for two donated in Jan 2019. **Velindre Cancer Hospital in Cardiff - donated as a raffle/auction prize to the Caerphilly Angling Association in aid of their charity work for the (Velindre Cancer Hospital in Cardiff). The raffle will be held in Caerphilly Angling Associations Christmas Party 2018. (Nov 2018). **TVAA Thames Valley Air Ambulance - Donated £500 raised at the Linear Fisheries Open Day in May 2018. (Money donated in Sept 2018). **Save The Children 'Carterton Branch' - Donated £500 raised at the Linear Fisheries Open Day in May 2018. (Money donated in Sept 2018). **Lower Windrush Valley Project (LWVP) - Donated a free page advertising in the 2019 Linear Fisheries Brochure. **Anglers Charity Auctions Facebook Charity Competition - Donated a 48-hour ticket for one angler to fish with Dave Levy and Paul Smith. This would be auctioned on the ACA Facebook page. Sept 18. **Bella's Wish Auctions - Donated a 24-hour ticket for two anglers that can be used in a auction/raffle. Sept 18. **Linear 40K Likes Facebook Competition. Competition prize of 48-hours for two anglers. Sept 18. **Teenage and Young Adult Cancer Fund 0530 (Churchill Hospital Oxford) - Donated a 48 hour ticket for two anglers, 3-rod ticket for a raffle/auction at the Ryan Bull Memorial Football Match. Sept 18. **Teenage Cancer Trust - Donated a 48-hour 3-rod ticket for two anglers to be used as a raffle/auction prize. Sept 18. **Anglers Charity Auctions - Donated a 48 hour ticket for two anglers, 3-rod ticket for a raffle/auction. For a session with Dave Levy and Paul Smith. June 2018. ** The Lucy Rayner Foundation. Donated two 24-hour tickets, for one angler each - For a charity fishing match being held at the Warwick Wold Waters on the 4th of Aug 2018. **Salisbury District Angling Club and is in aid of the Southern Spinal Injuries Trust (SSIT). 48 hours fishing for two anglers. (July 18). 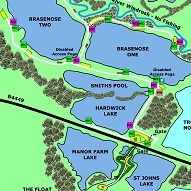 **Fishability UK - Donated 10 swims for 36 hours on Brasenose-One. To help with angling therapy for Forces Veterans. July 18. **Anglers Charity Auctions - Donated a 48 hour ticket for two anglers, 3-rod ticket for a raffle/auction. June 2018. **Anglers Against Cancer - Donated a weeks free fishing on our day tickets waters for TWO anglers. June 18. **Linear Fisheries Award - for the best overall performance from a level-3 student at Sparsholt College during 2017-2018. Awarded two 48-hours session (June 18). **Scotty's Little Soldiers - Donated a 24-hour ticket for two and a 48-hour ticket for two. June 2018. **Cancer Research - Donated two 24 hour ticket for two anglers, 3-rod ticket for a raffle/auction. This will be auctioned at the Newlands Angling Club 'Charity Duck Race'. Aug 18. **The Children's Bereavement Centre in Nottinghamshire - Donated a 24-hour session for two anglers. (June 2018). 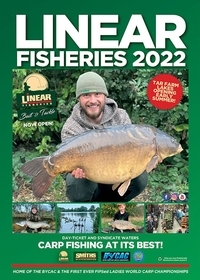 **Anglers National Line Recycling Scheme - Linear have donated a 72-hour ticket for two anglers - This was for a Facebook competition to help publicise the scheme. May 2018. **Anglers National Line Recycling Scheme - Linear have donated approximately £400 to produce the bin stickers required for the scheme. (April 18). **Donated a 24-hours ticket for two anglers as a raffle/auction prize to a ‘Help for Heroes’ charity match being held from the 17th to 19th August 2018 at Sandhurst Lake. (Donated in May 2018). **Cast-4-Life event in aid of Cancer Research - For their event being held at the Lakeside Fishery complex in Chichester at the end of Aug 2018 - Linear donated a 24-hour ticket for two anglers in May 2018. **Yarnton FC Under 12's - Donated a 24 hour ticket for 1 and a 48 hour ticket for 1. In aid of the junior section of the football club. (May 18). **Helped support the 'Angler's National Line Recycling Scheme' by paying for their recycling bin stickers to a cost of £471.60. April 2018. **Hampshire and Isle of Wight Air Ambulance and Second Chance, a charity for disadvantaged youngsters - Donated a 24-hour ticket for two anglers as a raffle/auction prize for the Portsmouth and District Angling Society to support their annual 24 hour (Aug 2018) Charity Carp Fishing Match. Donated in April 2018. **Cancer Research and Meningitis Research - Donated a 24-hour ticket for two anglers as a raffle/auction prize for a charity football match being held on May 27th 2018 at Newbury Football Club. Donated in April 2018. **Children with Cancer UK - Donated a 48-hour ticket for two anglers as a raffle/auction prize. Donated in April 2018. **MAGPAS (Bedfordshire Air Ambulance) - Donated a 48-hour ticket for one angler as a raffle/auction prize to a three day charity angling event being held in July at Fennes Fishery in Braintree Essex. Donated in April 2018. **Oxfordshire Mind - Donated a 48-hour ticket for two anglers as a raffle/auction prize to the charity event 'Ziggyfest', being held in July at the Leafield Village Hall. Donated in April 2018. **Childrens Hospice Southwest - Donated a 24-hour ticket for one angler as a raffle/auction prize to the Divvy Cup, being held at Acorn Fisheries. April 2018. **Great Western Air Ambulance - Donated a 24-hour ticket for two anglers as a raffle/auction prize to the ‘Rattler Rund’ in aid of the Great Western Air Ambulance . April 2018. **Ducklington Primary School 'New Playground Fund' - Raised £406 for Ducklington School at our annual Charity Pike Match. Held in Feb 2018 at Linear Fisheries St. Johns Pool. (April 18). **Carping 4 ELY - Donated a 48 hour, 3-rod ticket for two anglers for raffle/auction at the 'Carping 4 ELY' Charity Match and Memorial Fund (Also in aid of the Midlands Air Ambulance) being held in May 2018 at Acorn Fishery in Bristol. April 2018. **FODCAC Charity Carp Matches being held in the Forest of Dean during Aug/Sept 2018. They are in aid of ‘Helping Harry get SDR’ and also the ‘AAC Foundation’ - Donated a 24 hour ticket, 3-rod tickets for two anglers - for a raffle/auction. March 2018. **‘Catfishing Against Cancer (CAC) - Donated a 48 hour ticket, 3-rod tickets for two anglers - for a raffle/auction. March 2018. **‘Ashfield Trust, Level-7 Maternity’ at the JR Hospital Oxford and ‘Sands’ (Stillbirth and Neonatal Death Charity) - Donated a 24 and 48 hour ticket, 3-rod tickets for two anglers - for a raffle/auction. March 2018. **Thatcham AA - Donated a 24 hour ticket, 3-rod tickets for two anglers - for a raffle/auction. (Feb 18). **Neonatal Unity - Donated a 24 hour ticket, 3-rod tickets for two anglers - for a raffle/auction at the Neonatal harity Carp Match' being held at Elphicks Lakes Sept 2018. (Issued Feb 18). **Disabled Angling SAFE - Donated a 24 hour ticket, 3-rod tickets for two anglers - for a raffle/auction prize. Feb 2018. **Linear recently funded two new Barn Owl nest boxes in support of the Lower Windrush Valley Project. The boxes were positioned at Standlake Common Nature Reserve. (Jan 18). **Angling for Alzheimer's - Donated a 24 hour ticket, 3-rod tickets for two anglers - for a raffle/auction at the Charity Carp Match' being held at Horcott Lakes in May 2018. (Issued Feb 18). **Willen Hospice - Donated two 48 hour ticket, 3-rod tickets for a raffle/auction at the 'Millie Grace Memorial Carp Match' being held at Great Linford Lakes in June 2018. (Issued Jan 18). **Alder Hey Children's Hospital- Donated two 24 hour tickets, 3-rod ticket for a raffle/auction at a charity carp match being held in June 2018. (Issued Jan 18). **Bankside Buddies - Donated a 24 hour, 3-rod ticket for two anglers - for raffle/auction at Charity Event being held in Feb 2018. (Issued Jan 18). **Carping 4 Heroes - Donated a 48 hour, 3-rod ticket for two anglers - for raffle/auction at Charity Event being held at Cudmore Fishery in July 2018. (Issued Jan 18). **Anglers Charity Auctions - Donated a 48 hour ticket for two anglers, 3-rod ticket for a raffle/auction. This will be auctioned by the ACA to help purchase sleeping bags, gloves, jumpers etc... for the homeless. Dec 17. **Kirtlington FC Xmas Raffle - Donated a 24 hour ticket for one angler, 3-rod ticket for a raffle. Nov 2017. **Angling for Hope - Donated two 24 hour tickets, 3-rod ticket for a raffle/auction. Sept 17. **£3,325.00 was raised by Linear during 2017, through online fundraising, raffles and at our annual Open Day. This money has been split between Save the Children and the Thames Valley Air Ambulance. **Teenage and Young Adult Cancer Fund 0530 (Churchill Hospital Oxford) - Donated a 48 hour ticket for two anglers, 3-rod ticket for a raffle/auction at the Ryan Bull Memorial Football Match. . Sept 17. **Alzheimer's Society - Donated a 48 hour ticket for two anglers, 3-rod ticket for a raffle/auction. Charity event at Cobbleacre Lakes in Norfolk. July 17. **Anglers Charity Auctions - Donated a 96 hour ticket for two anglers, 3-rod ticket for a raffle/auction. Online Auction. July 17. **Cancer Care & Haematology at the Stoke Mandeville Hospital - Donated a 24 hour ticket for two anglers, 3-rod ticket for a raffle/auction. Event taking place at Linbrook Fisheries in Biggleswade. June 17. **The Portsmouth & District Angling Society - Donated a 24 hour ticket for two anglers, 3-rod ticket for a raffle/auction. In aid of their charity work for various charities. June 17. **The Sunnyvale Fishery and Outdoor Activity Centre - Donated a 24 hour ticket for two anglers, 3-rod ticket for a raffle/auction. Event taking place at Manor Farm Fisheries in Biggleswade. June 17. **Donated in the memory of 'Big Bob' - Donated a 24 hour ticket for two anglers, 3-rod ticket to aid in the funeral costs. June 17. **SSAFA, PTSD Resolution and Q4IS - Donated a 24 hour ticket for two anglers, 3-rod ticket in aid of their charity work for the Armed Forces. For a raffle/auction. May 17. **Help for Heroes - Donated a 24 hour ticket for two anglers, 3-rod ticket for a charity raffle/auction. May 17. **Carping for Causes - Donated a 48 hour ticket for two anglers, 3-rod ticket for a charity raffle/auction in aid of (Birmingham Children's Hospital). May 17. **Emily's Charity Carp Match - Donated a 24 hour ticket for two anglers, 3-rod ticket for a charity raffle/auction. April 17. **The Carp Lottery - Donated a 24 hour ticket for two anglers, 3-rod ticket for a charity raffle/auction. April 17. **Teen Age Cancer Trust - Donated two 24 hour, 3-rod tickets for raffle/auction. To help a junior football team in Coventry. April 17. **PAPYRUS - A Uk charity dedicated to the prevention of young suicide - Donated a 24 hour, 3-rod ticket for two anglers for raffle/auction at their June 2017 charity angling match being held at Kingsland Fishery. March 17. **The Hope for Children Charity - Donated a 24 hour ticket for two anglers, 3-rod ticket for raffle/auction. March 17. **Breaking The Surface (In aid of young Jack Storey) - Donated a 24 hour, 3-rod ticket for two anglers for raffle/auction at their May 2017 angling match being held at Bradshaw Hall Fishery. Feb 17. **Help 4 Heroes - Donated a 24 hour, 3-rod ticket for two anglers for raffle/auction at the '4 ELY' Charity Match and Memorial Fund being held in May 2017 at Celtic Lakes. Feb 17. **'Fishing for Jamie Mines' - Fundraising - Donated a 48 hour, 3-rod ticket for two anglers for raffle/auction. In conjunction with the Todber Manor Fundraising Match being held in May 2017. Feb 17. **Demelza House, Hospice Care for Children - Donated a 48 hour, 3-rod ticket for one angler for raffle/auction. In conjunction with the Spider Hall Charity Match being held in Aug 2017. Feb 17. **1ST Standlake & Cokethorpe Sea Scout Group - Raised £384 for the Sea Scouts at our annual Charity Pike Match. Held at Linear Fisheries St. Johns Pool. (Feb 17). **Willen Hospice - Donated a 24 hour, 3-rod ticket for two anglers for raffle/auction at the Millie Grace Charity Match being held in June 2017. Feb 17. **Camps International - Donated a 12 hour, 2-rod ticket for raffle/auction. Jan 17. **Camps International - Donated at 24 hour, 3-rod ticket for raffle/auction. Jan 17. **Catfishing Against Cancer - Donated a 48 hour, 3-rod ticket for raffle/auction. Held at Furnace Lakes in Sept 2017 in aid of Prostate Cancer UK. **Carping 4 Heroes - Donated a 48 hour, 3-rod ticket for raffle/auction. Jan 17. **Charity Carpers - Donated a 24-hour, 3-rod ticket for two anglers. Jan 17. **The Myton Hospice - Donated a 72-hour, three rod ticket and a 48-hour, three rod ticket. Both for one angler. Nov 2016. **Children in Need - A 24-hour, 3-rod ticket donated as a raffle prize to Smiths Bletchington. Nov 2016. **MNDA Charity Ball - Donated a 4-day, 3-rod ticket for two anglers. Sept 2016. **Anglers Against Cancer - Seven days, for two anglers (3-rods each) donated to the AAC event held at Orchid Lakes in Sept 16. **Ryan Bull Memorial Event. Two 24-hour, 3-rod tickets donated. Sept 16. **Breast Cancer Research - 24-hour, 3-rod ticket for two anglers donated to their event being held in Bishops Stortford - Oct 2016. **Ashgate Hospice Care - 24-hour, 3-rods ticket for one angler donated. Event held at Poolsbrook Fishing Club - July 2016. **British Heart Foundation - Donated a 24-hour ticket for two anglers. Held at Withy Pool Aug 2016. **Veterans Lifeline - Donated a 48-hour ticket for two anglers to be raffled off. **The Severn Hospice - Dontated a 24-hour, 3-rod ticket for two angler at the Adam Penning Talk and slide show in Whitchurch. December 2016. **Six free swims donated to 'Forces Carp' for their work with introducing carp fishing to wounded or injured forces veterans. July 2016. **Children's Padus Unit at the William Harvey Hospital - Donated a 24-hour, 3-rod ticket for two anglers. **FISHABILITY UK - Donated ten free swims who offer 'Angling therapy for Armed Forces Veterans. June 16. **Male Cancer Awareness - Donated £80 + gift aid to Sky-Balls. June 2016. **Help for Heroes - Donated a 24 hour, 3-rod ticket for two anglers for raffle/auction. **Linear Open Day May 2016: £410 raised for the local Ducklington Junior football team. **Linear Open Day May 2016: £1,075 raised for the MNDA. **The 10th Annual Carp-in-4-Cancer event - Donated a 48-hour 3-rod ticket for two anglers along with a 5-day ticket for one angler. Both to be used as a raffle/auction prize. **Free 48-hour ticket given to Harry & his dad Paul for his excellent poem sent in. **Two day tickets and a 24-hour ticket for two donated to the Garden City Junior Football Tournament. April 2016. **Donated a 24 hour, 3-rod ticket for raffle/auction to support charities in memory of Bella Violet Paxton. **Catting-for-Cancer - Donated two 24 hour, 3-rod tickets for raffle/auction. Held at Furnace Lakes. **Donated a 24 hour, 3-rod ticket for raffle/auction in aid of Jacobs Future. **The Willen Hospice - Donated one 24 hour, 3-rod ticket for raffle/auction. Held at St. James Lake, Brackley. **Carping 4 Cancer - Donated two 24 hour, 3-rod tickets for raffle/auction. **Children with Cancer UK - Donated two 24 hour, 3-rod tickets for raffle/auction. Their 2nd annual Cancer Fishing Social. **For the Primrose Hospice - Donated two 24 hour, 3-rod tickets for raffle/auction. **Teen Age Cancer Trust - Donated two 24 hour, 3-rod tickets for raffle/auction. To help a junior football team in Coventry. **MNDA Charity - Raised over £400 at our annual Charity Pike Match. Held at Linear Fisheries St. Johns Pool. (Feb 16). **Carping4Heroes Charity - Donated free fishing tickets for raffle/auction. Held at Manor Farm Lakes Bedfordshire. **Kidney Research Charity - Donated a 48 hour, 3-rod ticket for raffle/auction. Held at Berners hall Fishery. **Bubbles Do for Macmillan Cancer Relief - Donated two 24 hour, 3-rod tickets for raffle/auction. Held at Wraysbury North Lake. **Cast Away Cancer - Donated two 24 hour, 3-rod tickets for raffle/auction. 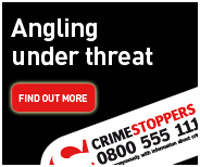 Held at Packington Fisheries Broadwater Syndicate. **Bivvyup4heroes Charity - Donated two 24 hour, 3-rod tickets for raffle/auction. Held at Old Mill Fisheries Lincoln. All of us at the fishery are very proud of what we have helped achieve over the years and remain fully committed to more of the same in the future.